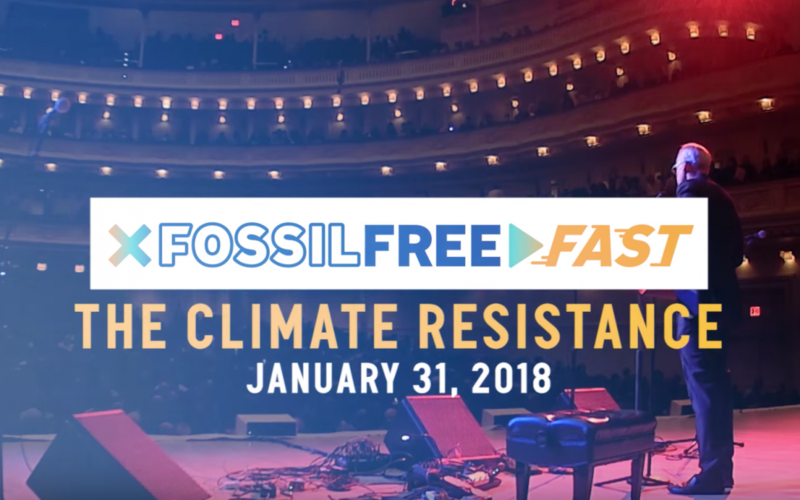 Join the Climate Resistance Live Event watch party at one of at least five locations in the Bay Area on Wednesday evening, January 31st. Speakers live streamed from Wash, DC, include Sen Bernie Sanders, Bill Mc Kibben, Rev. Yearwood (HipHop Caucus), Jacquie Patterson (NAACP) and more. Meet others in your community who are organizing to build local power and take climate action, and learn about ways to get involved. Working together, we will end the use of fossil fuels and transition our world to 100% renewable energy for all. Find out what you can do in the Bay Area and California to build the Fossil Free future we need — and connect with other activists equally passionate about this work. Click on the links below for details about a watch party near you.